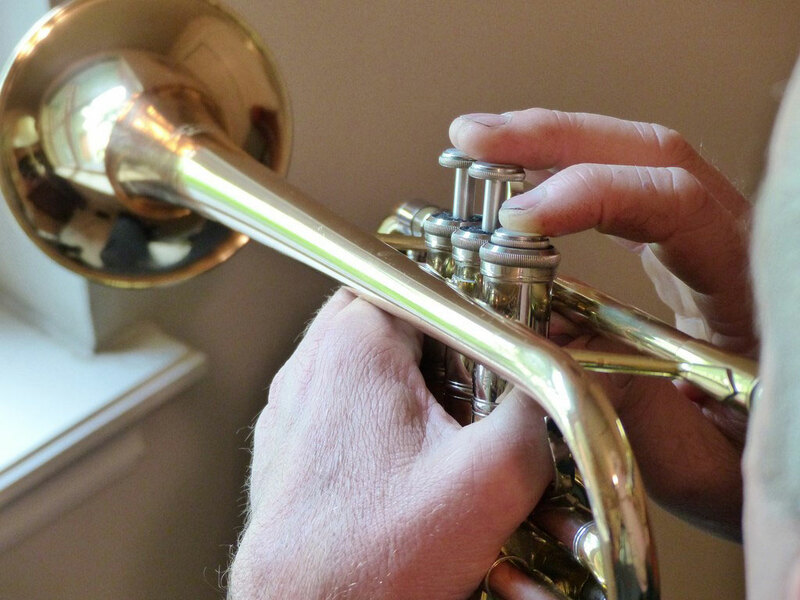 Dr. Stephen Goforth is an Oklahoma musician who has distinguished himself as a trumpet virtuoso comfortable in any venue - principal trumpet, featured soloist, lead trumpet, jazz soloist, church soloist, conductor, clinician, composer, recording artist, brass quintet and more. He is particularly known for brilliant piccolo trumpet playing and spontaneous exhilarating obligatos. He holds degrees from Oklahoma Baptist University, Florida State University, and University of Oklahoma. He has performed for OKMozart numerous times and toured with the Dallas Brass; played in Europe, with numerous touring artists and for presidents and dignitaries to include Barbara Bush, Henry Kissinger, and Ronald Reagan. His programs stretch from church choral works to full orchestras to the acclaimed "Experience Trumpets" solo concert featuring more than 20 instruments. His most recent recordings and compositions are being played on national television networks including Fox, Disney, Nickelodeon, Comedy Central; in Europe, Africa, and most recently Asia and Australia.